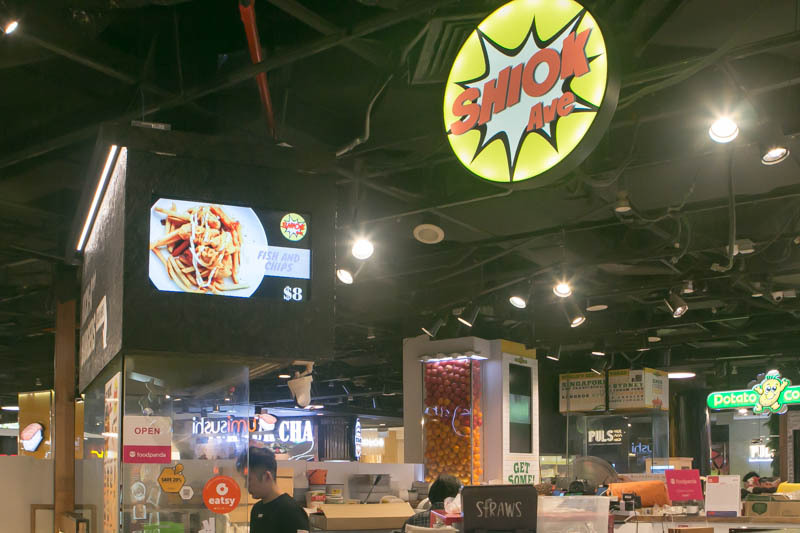 If burgers are your go-to meal, then you’ll love what Shiok Ave has to offer. Located at the basement of [email protected], this burger kiosk serves up quality burgers at affordable prices. Even though they’re operating out of a humble kiosk space amidst all the other food stalls in the basement, their burgers are big on flavours. With thick and juicy beef patties and unique local flavours, these no-frills burgers are perfect for a quick but indulgent meal. We headed down to the burger kiosk for late lunch on a weekday and tried a total of four burgers with some sides. The So Shiok! 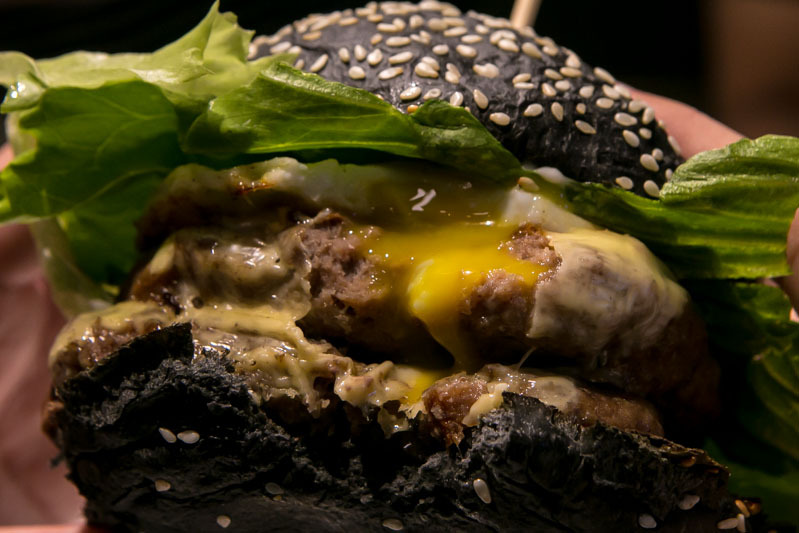 (S$10) is a mouth-watering stack of two thick beef patties, charcoal buns and a fried egg with oozing yolky goodness. 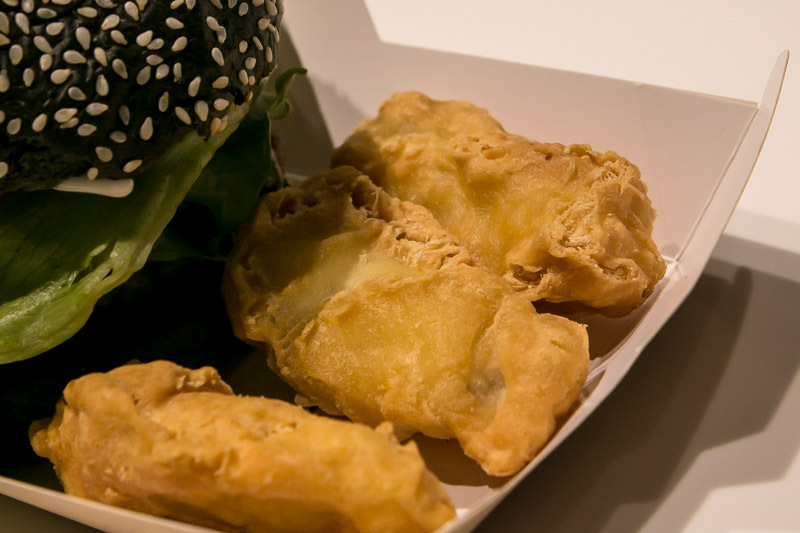 Psst, if two isn’t enough, you can add on as many patties as you want for S$2.50 each! Word of advice: don’t add on too many, because even with two patties it was already quite challenging to fit the burger in my mouth. I liked how gooey the egg yolk was, so that it added a creamy texture when I took a big bite. I was really excited to try their Cheez Burg (S$6), which is a meatless option. I know you might be thinking that “meatless” and “delicious burgers” don’t really go together but I promise, this one is different. 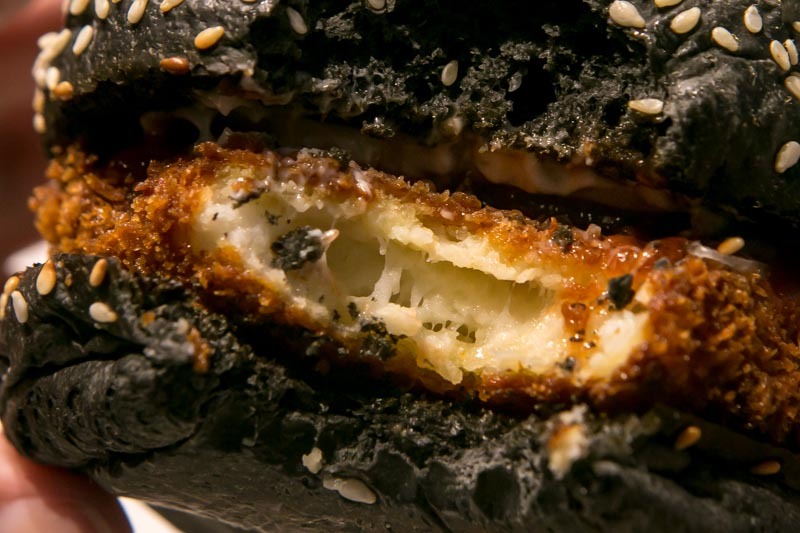 The burger came with a crispy, gooey mozzarella cheese patty instead of the usual meat patty. 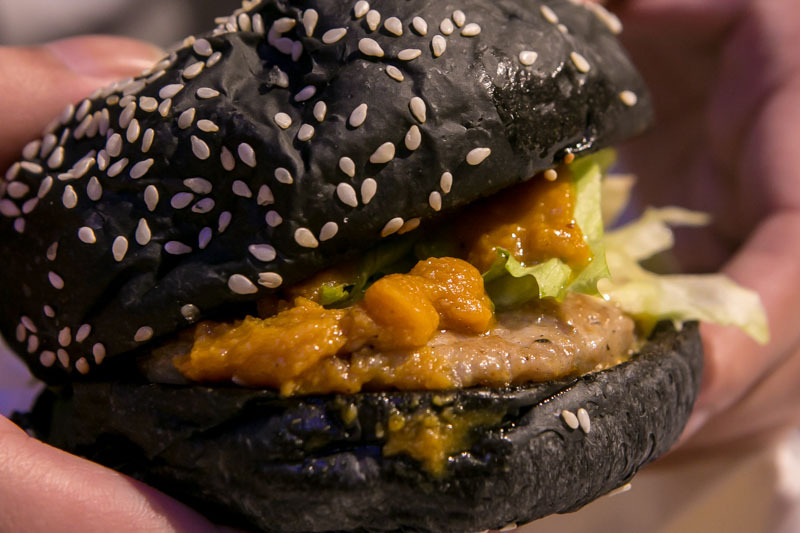 It’s a change from the usual veggie patties, which can sometimes be unappetising and boring. The stretchy mozzarella cheese within the crispy outer layer was savoury, and went well with the tangy tomato sauce. If you’re looking for a good meatless burger option, try this cheesy burger! 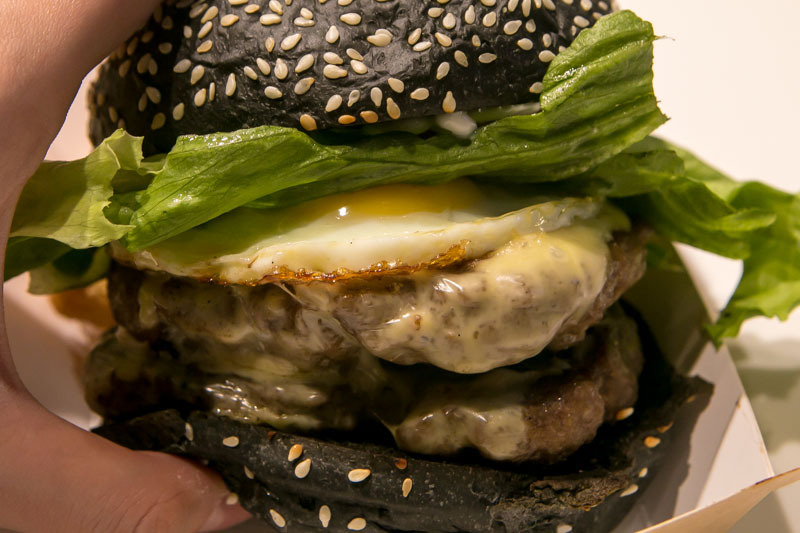 What’s really special about Shiok Ave is that they also serve up burgers with unique local flavours. The Salted Egg Burg (S$8) features a grilled chicken patty sandwiched between two fluffy charcoal buns, drenched in salted egg yolk sauce. The chicken patty was soft and juicy, and they were really generous with the salted egg yolk sauce. After the first few bites, however, I felt that the burger was a little too rich and jelak to finish the whole burger on my own. My dining companion loved the rich flavour though, so it really depends on your preferences. 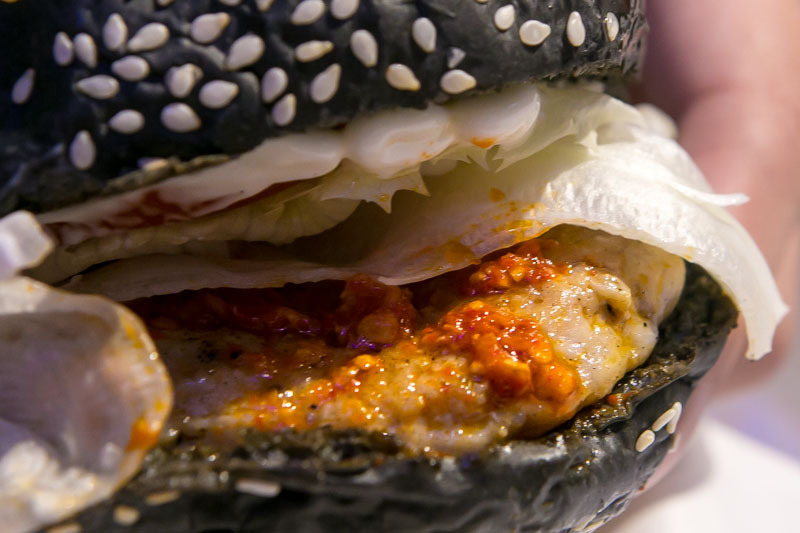 My favourite burger was the Chilli Burg (S$6), which tasted a lot like Hainanese chicken rice in burger form. This burger also came with a grilled chicken patty, so it’s a lighter option instead of the usual beef burgers. 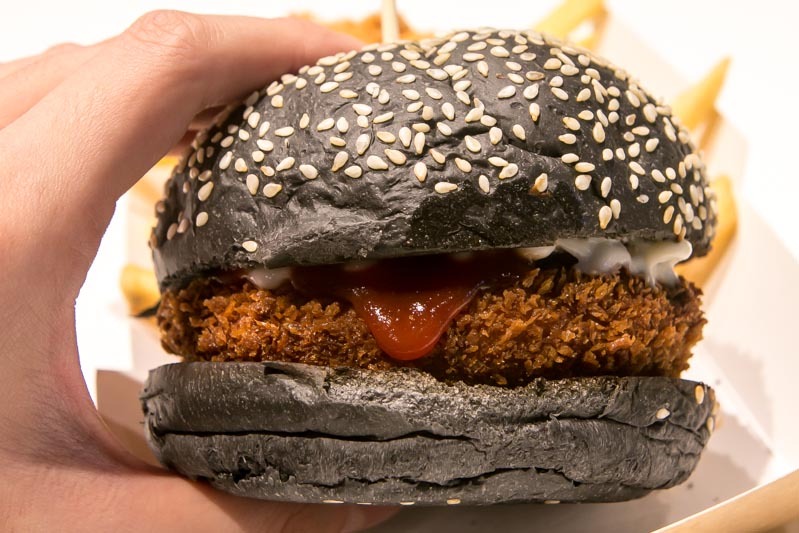 Served with the chilli sauce that usually comes with chicken rice, this was one spicy burger. It’s the kind of heat that accumulates and lingers at the back of your throat, and gets hotter the more you eat. Shiok! Aside from their burgers, they also have a few sides if you aren’t hungry enough for a whole meal. If you’re looking for something sweet, try their Banana Nuggets (S$4/three pieces, S$6/five pieces). Fried to golden perfection, the crispy batter added a lovely contrasting texture to the gooey caramelised bananas. It’s basically goreng pisang but crunchier, and each bite of it brought back waves of nostalgia. 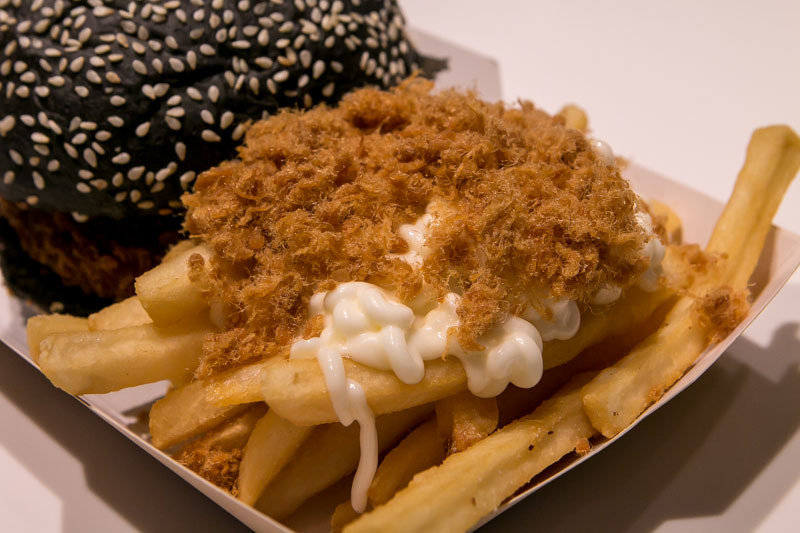 Shiok Ave has the usual Cheese Fries (S$5) too, which is a great go-to in case you have the munchies. Greasy, savoury and crispy, this was perfect for nibbling on. 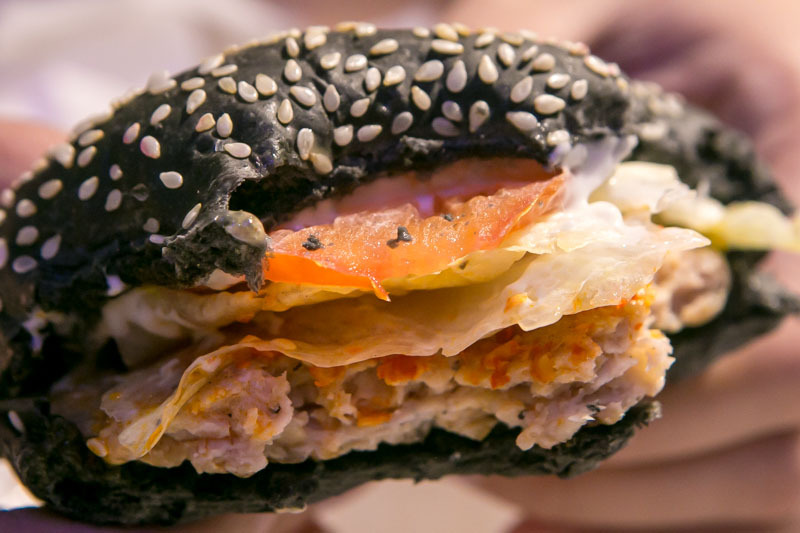 It’s even topped with pork floss for that extra umami kick. Psst, keep a look out for their new menu item that’s still in the works. They’re working on serving up the longest fries you’ve ever seen. 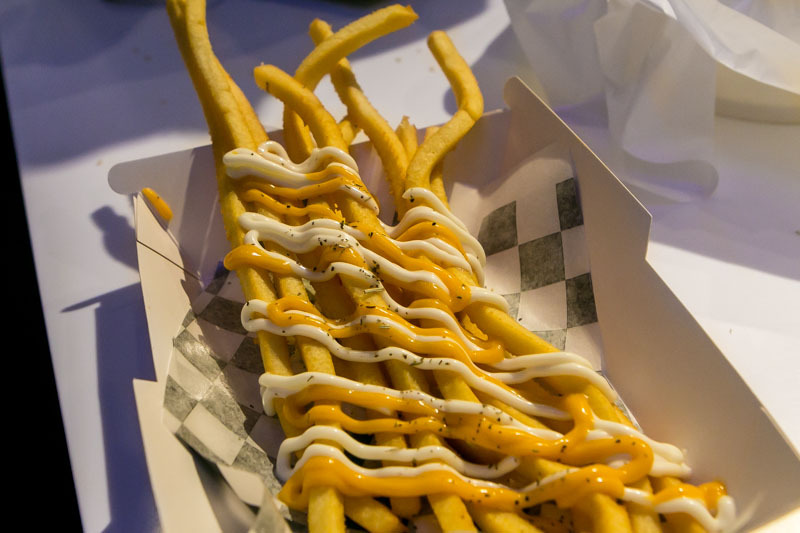 Slathered with mayonnaise and nacho cheese, these fries can be up to 30cm long! It’s great for kids and the young at heart, because now no one can tell you to stop playing with your food.